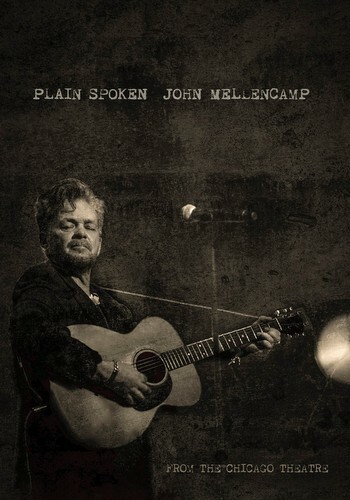 John Mellencamp’s concert special, “Plain Spoken: From The Chicago Theater”, will be available for streaming on Netflix starting Thursday, February 1. Directed by Barry Ehrmann, the project captures Mellencamp and his band in performance in support of his 2014 album, “Plain Spoken”, at the landmark Chicago Theater on October 25, 2016, just 250 miles from his home in Bloomington, IN. The special is equal parts a concert film and documentary, with the rocker providing narration and background stories about his life and career throughout the set. Presenting a mix of new and classic Mellencamp tunes, the film also features a guest appearance by tour mate Carlene Carter. “Plain Spoken” – which peaked at No. 18 on the US Billboard 200 – was the singer’s first release under an unprecedented lifetime recording contract with Republic Records.